"He was worse than a ghost. He was real." Young women are turning up dead in Fog Lake, Tennessee and the killer is as illusive as a wisp of smoke. 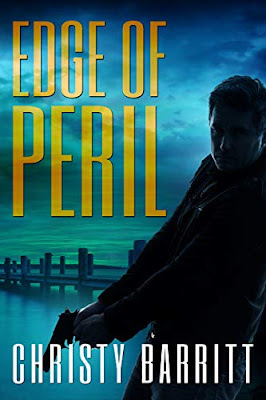 Sheriff Luke Wilder has very few clues, if any at all, to follow up on .. . . until a curious bit of information from an outsider comes to his attention. Harper Jennings is sure that she knows who is on a killing spree in the idyllic small town of Fog Lake; more than likely it's the same person who tried to take her life just three years prior. It's a crazy story, she knows that, but it's worth a chance if it keeps others away from the edge of a very sharp knife. Be prepared to sit on the edge of your seat! Christy Barritt is off to a great start in her new series; "Fog Lake Mysteries". *I purchased this book and was under no obligation to review it! When evil descends like fog on a mountain community, no one feels safe. After hearing about a string of murders in a Smoky Mountain town, journalist Harper Jennings realizes a startling truth. She knows who may be responsible—the same person who tried to kill her three years ago. Now Harper must convince the cops to believe her before the killer strikes again. Sheriff Luke Wilder returned to his hometown, determined to keep the promise he made to his dying father. The sleepy tourist area with a tragic past hadn’t seen a murder in decades—until now. Keeping the community safe seems impossible as darkness edges closer, threatening to consume everything in its path. As The Watcher grows desperate, Harper and Luke must work together in order to defeat him. But the peril around them escalates, making it clear the killer will stop at nothing to get what he wants. Ooh, sounds like a fun read! 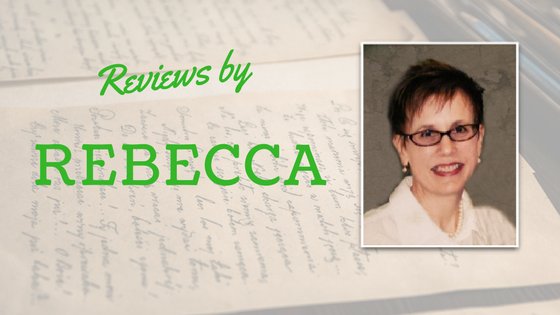 Thanks for the review, Rebecca!